Aging: Alcoholic fermentation in small stainless steel tanks of 40 hl. Then storage on fine yeast for 6 months. Partial malolactic. 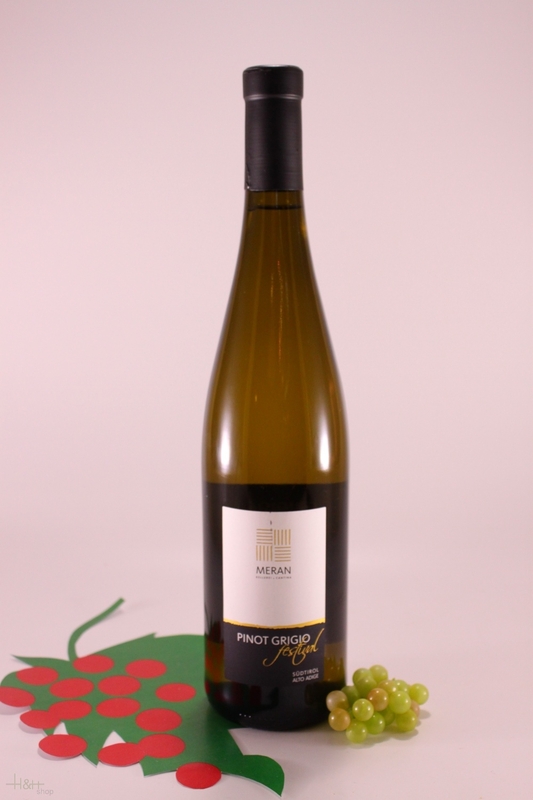 Our Golden Muscat is a fine, aromatic dessert wine with a yellow to golden color. Pleasant aromas of musk roses overlay a markedly sweet structure. Ethereal essences of citrus fruits and baked apples arise as the wine opens. This dessert wine is an ideal partner to beignets, strudel and cake, and, in its drier embodiment, as an aperitif. Pink colour with ruby hints. Quite pronounced, fruity aroma (red berries) with floral impressions (violets). Medium-bodied smooth fruit on the palate, fresh. Long lasting aftertaste with an elegant bitter twist. Unlike numerous other insipid rose coloured wines, this is a rosé with strong personality, freshness, fragrant, similar to a fine white wine but with the rich fruit and roundness of a young red intended for early drinking. 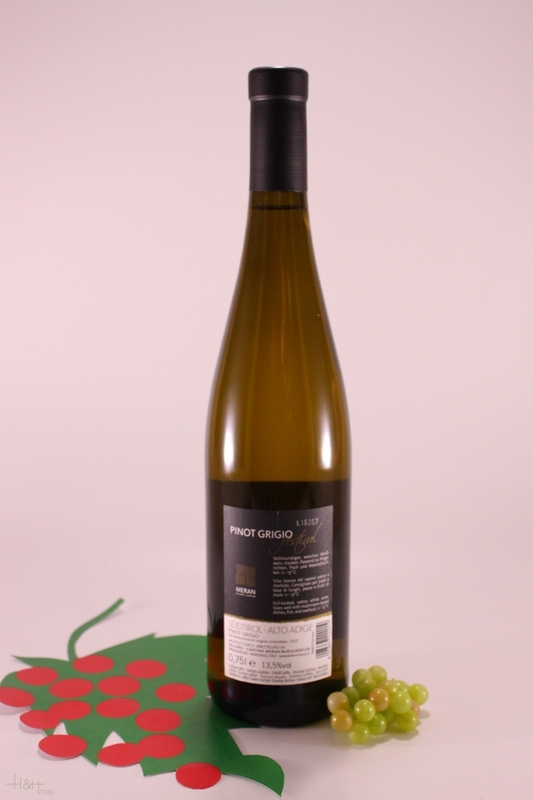 Moscato Giallo Alto Adige - 2018 - Winery Caldaro 11,45 EUR / 15,27 €/lt. Chardonnay Altkirch - 2018 - cantina Colterenzio 11,05 EUR / 14,73 €/lt. Pinot Nero Alto Adige - 2017 - cantina Termeno Alto Adige 15,90 EUR / 21,20 €/lt. Gewürztraminer Nussbaumerhof - 2017 - cantina Termeno 28,90 EUR / 38,53 €/lt. Gewürztraminer Campaner - 2017 - Winery Caldaro 17,45 EUR / 23,27 €/lt. Pinot Nero Riserva St. Daniel - 2016 - Colterenzio 21,55 EUR / 28,73 €/lt. Lagrein South Tyrol - 2018 - Cantina Bolzano 12,60 EUR / 16,80 €/lt. Blauburgunder - 2018 - cantina Colterenzio Alto Adige 13,80 EUR / 18,40 €/lt. Lagrein - Merlot Mauritius Prestige - 2014 - Cantina Bolzano 32,35 EUR / 43,13 €/lt. Pinot Blanc Vom Stein - 2018 - Castelfeder Winery 14,35 EUR / 19,13 €/lt. Cabernet Sauvignon Castel Turmhof - 2016 - vine cellar Tiefenbrunner 22,50 EUR / 30,00 €/lt. Merlot Riserva Siebeneich - 2016 - Cantina Bolzano 35,50 EUR / 47,33 €/lt. Terlaner Sauvignon Mantele - 2017 - vine cel. Nals-Margreid 21,90 EUR / 29,20 €/lt. Pinot Grigio Vigna Castel Ringberg - 2017 - Elena Walch 24,30 EUR / 32,40 €/lt. Sauvignon Raif - 2017 - Castelfeder Winery 18,35 EUR / 24,47 €/lt.